Portable Vacuum Sealer Just $34.97! Down From $97! PLUS FREE Shipping! You are here: Home / Great Deals / Amazon Deals / Portable Vacuum Sealer Just $34.97! Down From $97! PLUS FREE Shipping! Amazon is currently offering this Portable Vacuum Sealer for just $34.97 down from $97 PLUS FREE shipping! 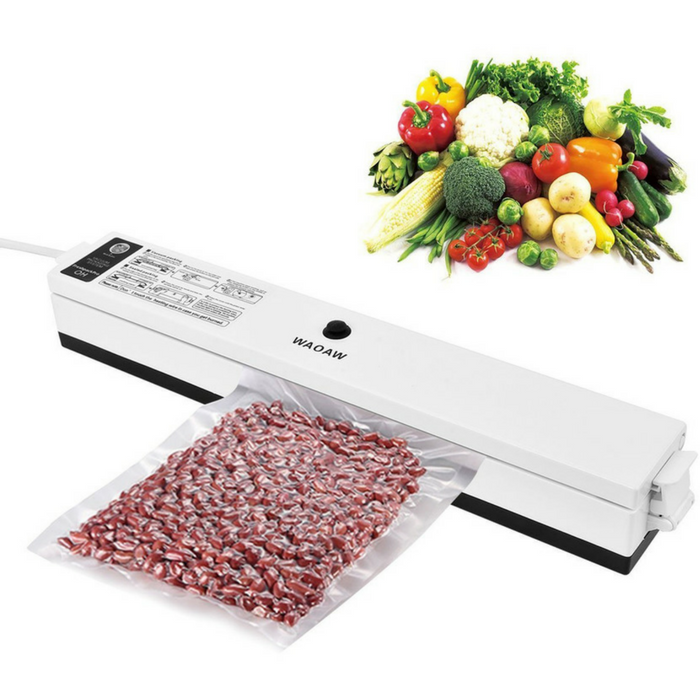 This Portable Vacuum Sealer effectively removes air from the bag, then uses heat to achieve a reliable seal to keep foods fresh for longer time compared to traditional storage methods. It’s food saving, space saving, time saving and money saving. Compact Vacuum Sealing System eliminates freezer burn, reduces spoilage and food waste. Compact Vacuum Sealing System eliminates freezer burn, reduces spoilage and food waste. Fits up to 11.6” wide quart and gallon heat-seal bags and rolls. One touch vacuum sealer operation, Hands-free and seal indicator lights. Not only save fresh meat, fruit, nut, snacks and vegetables, it also can be used for wrapping letters, magazines, artifacts, linens, etc.